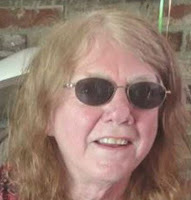 The West Seattle Blog reports that 74 year old Jackie Dupras, missing for two weeks from her home in West Seattle, has been found, deceased. Her body was found near the SW Spokane stairway between 60th and 61st [map], by a landscaper who was working in a steeply sloped back yard of a family who was away from home. She was a well-known community activist in West Seattle. Friends and family have been posting flyers, searching and following all leads since Dupras disappeared. One of the leads was that she had been spotted heading for a bus whose route ends at Shoreline Community College, so many people in Shoreline were watching for her. Dupras, who had dementia, also went missing from the Folklife Festival at Seattle Center in May of this year, but she was quickly found that time. This is really tragic. So sad.